Teaching students to find the theme of a book can be both fun and frustrating. Some students understand the concept immediately. For others, it can be a real challenge. Use the visual THE MEssage to help students remember that the theme is the message of a book, movie, song etc. Download this free theme anchor chart. A pop-up menu will open. Select the “Poster” option under “Page Sizing & Handling.” The poster is set to print 20 by 30 inches. This will tile over 8 pieces of paper. This size fits perfectly on the standard 22 by 32 inch flip chart. If you select “Size” in place of “Poster,” your poster will fit on a standard 8 1/2 by 11 inch piece of paper. Fables are easy for students to understand. 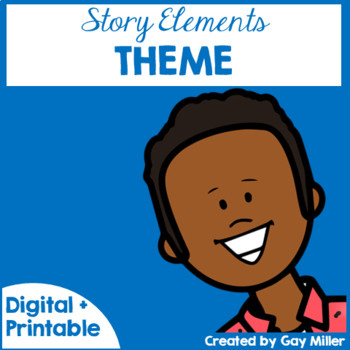 Due to their short to the point message, students catch on to the idea of theme quickly. Download this free anchor chart. Magnificent content. Thanks for writing!